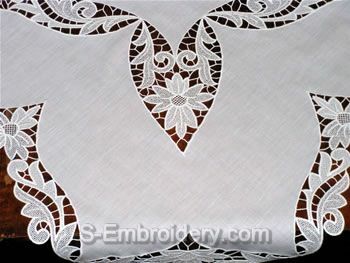 This fine set of 12 freestanding lace machine embroidery designs will let you use your imagination and creativity. All designs will fit in 5x7 (130x180) or larger hoops. 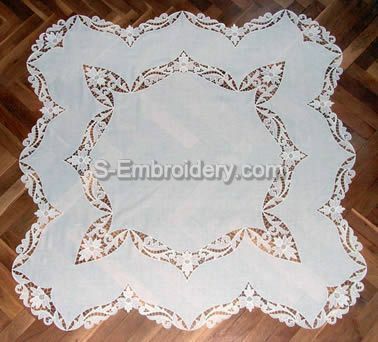 The number of stitches is between 8,800 and 19,700. 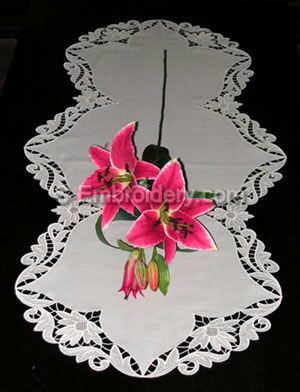 With the table lace from this set you will be able to create beautiful tablecloth and table runners with different shape and size. 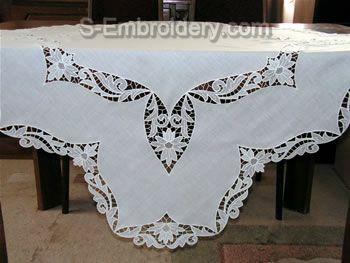 The tablecloth featured on our site is 47.2 x 47.2 inches (120 x 120 cm) and the table runner - 44.5 x 20.8 inches (113 x 53 cm). But you are not limited to these shapes and sizes. Just put your creativity to work. 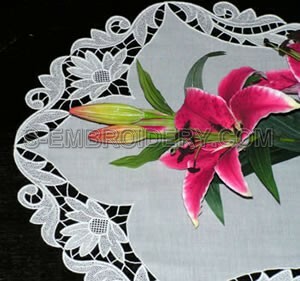 You receive 12 machine embroidery files, as well as design information and instructions in PDF format. simply stunning! Your artwork is breath taking. Einfach nur &quot;PERFEKT&quot; vielen Dank f?r diese sch?nen Dateien.